Lebanese national Abd al-Menhem Qubaysi is a U.S.-designated fundraiser and facilitator for Hezbollah based in Côte d’Ivoire. Qubaysi reportedly helped to establish a Hezbollah foundation in Côte d’Ivoire to recruit members and raise money for the terror group. The U.S. Department of the Treasury designated Qubaysi as a Specially Designated Global Terrorist under Executive Order 13224 in May 2009.“Country Reports on Terrorism 2009: Chapter 2. Country Reports: Africa Overview,” U.S. Department of State, August 5, 2010, http://www.state.gov/j/ct/rls/crt/2009/140883.htm. According to the U.S. Department of the Treasury, Qubaysi is the “personal representative” of Hassan Nasrallah, the Hezbollah Secretary General.“2010 International Narcotics Control Strategy Report (INCSR)—Volume II:Money Laundering and Financial Crimes Database—Comoros through India,” U.S. Department of State, May 4, 2010, http://www.state.gov/j/inl/rls/nrcrpt/2010/database/141516.htm. Qubaysi communicates with Hezbollah leaders and has hosted senior Hezbollah officials visiting Côte d'Ivoire in fund-raising efforts.“Treasury Targets Hizballah Network in Africa,” U.S. Department of the Treasury, May 27, 2009, , http://www.treasury.gov/press-center/press-releases/Pages/tg149.aspx. In August 2009, Qubaysi was detained by Ivorian authorities as he landed after a flight from Lebanon. He was denied entry and returned to Lebanon. According to the International Institute for Counter-Terrorism, however, he was permitted to return to Côte d'Ivoire in 2010 after pressure from the Lebanese government.Dr. Ely Karmon, “The Iran/Hezbollah Strategic and Terrorist Threat to Africa,” International Institute for Counter-Terrorism, March 28, 2012, http://www.ict.org.il/Article.aspx?ID=1088. Abdel Menhem Kobeissi“Treasury Targets Hizballah Network in Africa,” U.S. Department of the Treasury, May 27, 2009, http://www.treasury.gov/press-center/press-releases/Pages/tg149.aspx. The U.S. Department of the Treasury designated “Abd al-Menhem Qubaysi” as a Specially Designated Global Terrorist under Executive Order 13224 for his role as a Hizballah financier on May 27, 2009.“Treasury Targets Hizballah Network in Africa,” U.S. Department of the Treasury, May 27, 2009, http://www.treasury.gov/press-center/press-releases/Pages/tg149.aspx. 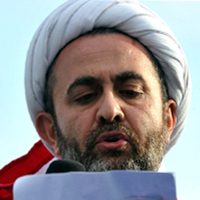 Lebanese national Abd al-Menhem Qubaysi is a U.S.-designated fundraiser and facilitator for Hezbollah based in Côte d’Ivoire.